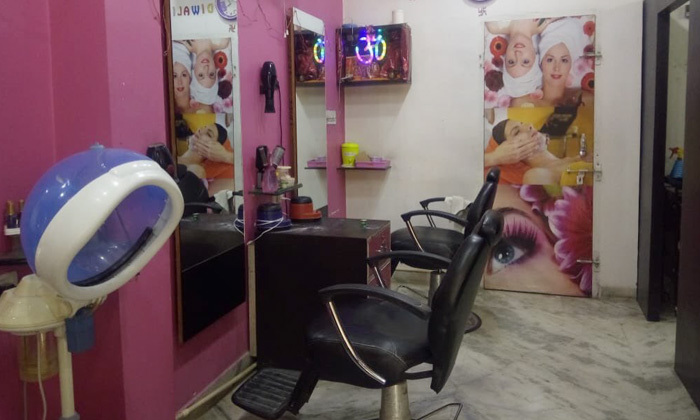 The New Style Ladies Salon is an exclusive ladies beauty salon located on the busy Tonk road in Jaipur. The salon offers a wide range of salon services for the skin and hair such as facials, scrubs, manicures, pedicures, hair-cuts, hair-styling, straightening, re-bonding and more in a neat and clean environment. The interiors are done up in bright pink with classy marble flooring, comfortable salon chairs, and spacious salon stations. So get all your beauty needs and surprise your special someone with a totally new version of yourself.